The fact that the Compass has excellent off-road ability is no secret. Last month I’d taken it off-roading with some friends and had a great time exploring the capabilities of the car. However, what I’m about to do in a week’s time with the Compass is going to be even more fun. As 2018 draws to an end, thankfully, it is also the time when the auto industry finally takes a break as most companies shut down their factories for maintenance and the executives get some downtime. Since this means there is less news, thankfully, the publishing industry also allows us to get a short break. So to make the best use of this year’s break, I’m planning to get a little more adventurous than normal and heading to some far-reaching areas of the Himalayas. While a long roadtrip with the family and a few days away from the urban hustle and bustle is a welcome relief in itself, what is really exciting is that the destinations I’m heading to have already seen this season’s first snowfall. With the snow around, not only will my children enjoy it, but I’ll also get to have one last hurrah of the Compass’ abilities before its impending return back to Jeep in a month’s time. 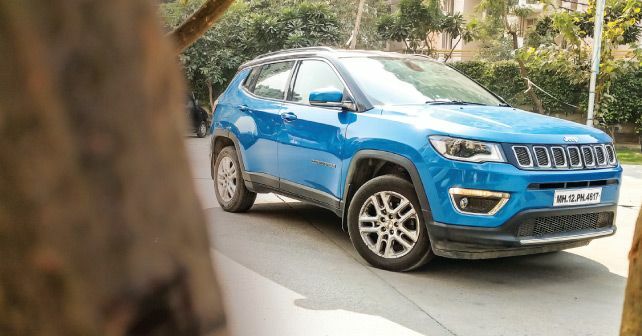 The conditions will also give me a chance to try out the various driving modes of the Compass and get a better feel of its 4x4 system's capability. Well, as they say, if you’re going to go out, might as well do it with a bang!